The ingredients of Battle-Pieces, ranging as they did from a Renaissance portrait to participation in a cavalry raid, were diverse in the extreme but scarcely representative of what Melville called the "varied amplitude" of the war. Much had to be filled in. Impressions wanted corroboration, and realistic detail was needed. Hence, as he had done on previous occasions, Melville sought a book which would help him flesh out impressions, which would assist him in seeing his object whole, and which would contribute a degree of order. He found such a book in The Rebellion Record. Despite Melville's statement in his introductory note that he served as a "harp in the window, and noted the contrasted airs which wayward winds have played," the poems are frequently specific, detailed, and selective in terms of subject. They were not often the product of white heat generated by immediacy, but rather of the cool calculation which the passage of time makes possible. The Rebellion Record was a periodical designed to present a history of the Civil War in "a digested and systematic shape," through selected newspaper accounts and official reports interspersed with verse and anecdotes. The material was cumulated in a series of eleven volumes and a supplement. Each volume contained a "Diary of Events," a section of "Documents and Narratives" and a section of "Poetry, Rumors and Incidents." On the whole the quality of the writing was adequate but prosaic, unpretentious except for the poems, which were of indifferent quality. 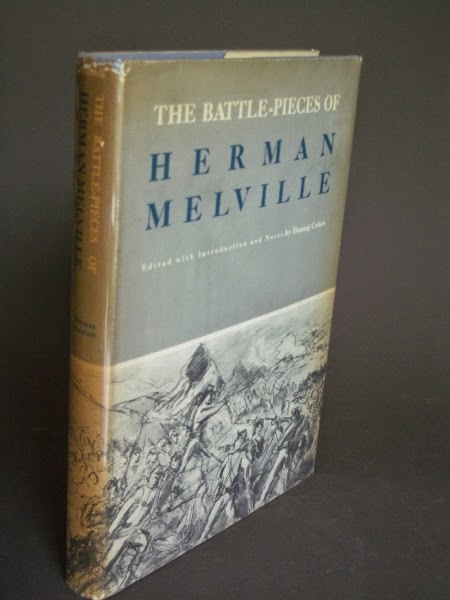 The first eight volumes, covering the years 1860 to 1864, were available to Melville in time to have been of use to him for Battle-Pieces. There is no evidence that Melville owned a set of The Rebellion Record, but in his note to the poem, "Rebel Color-bearers at Shiloh," he states that the "incident upon which this piece is based is narrated in a newspaper account of the battle to be found in the 'Rebellion Record,'" and the quotation which he gives is accurate. "The Rebel Color-bearers at Shiloh" is, in the order of the poems in the volume, probably the last for which The Rebellion Record is a source. In all, Melville drew upon The Rebellion Record for at least twenty poems, a majority of those which deal with military events. Eighteen concern events before 1863, and of this number twelve contain material which can be traced to The Rebellion Record. Not only did Melville need The Rebellion Record for the nudge it gave his muse but he also depended upon it for raw facts, especially concerning the first years of the war, when his interest had been relatively slight, and which were then as much as five years in the past. The poem "Donelson," the longest of those for which he drew upon The Rebellion Record, reveals three principal ways in which Melville used the various newspaper dispatches and official reports in this compendium. For narrative purposes, he would follow closely a number of different sources, choosing facts and incidents and weaving them together with little embellishment or expansion. For intensifying drama or mood, he would take a single source and strip it to its essence. Finally, to suggest larger implications and relationships than narrative, drama, or mood alone could provide, he would use his source material as the starting point for a cluster of imagery weighted with moral significance. For the "Louisville" passage Melville winnows out journalistic wordiness and compresses details; for example, the number of damaging shots which the vessel received is reduced to one. This increases the pace of the narrative and heightens the drama. Moreover, it provides a focal situation which may be invested with cosmic implications. The projectile from the Confederate battery is a planet, a malign and fateful wanderer in the skies. When it destroys the steering mechanism of the ship, the ship drifts uncontrolled, "lawless," itself useless and a danger to the fleet. The figurative language drawn from astronomy and the law underscores two ideas which recur in Battle-Pieces: the role of Fate in the lives of men and the need for mechanisms of control by individuals and society. The function of this passage is to portray the universality of suffering and the compassion of the enemy. Melville's view that the Union was right on the issues of the war is quite clear. Du Pont's fleet "warred for the Right," Stonewall Jackson "Stoutly stood for wrong," and the defeat of the Confederacy was "Treason thrown." Therefore the use of an incident which reveals such a curious display of generosity raises questions. The explanation is that Melville took the first opportunity to speak out for compassion and humanity, the foundation, as he saw it, upon which the opposition of North and South could be reconciled. The irony of the war was rooted in the fact that men were dehumanized by the very ideas that they fought for. In order to attain a reconciliation, principles would have to be subordinated to individuals. Melville could make his point best by emphasizing individuals, common soldiers trapped in a common misery, and by playing down the abstract issues of a "war of Wrong and Right"—to quote the words of "Look-out Mountain." "Donelson" happens to be one of the more ambitious poems in Battle-Pieces and the first in the sequence to have as its subject a military engagement in which the Union was victorious. Hence Melville could afford the luxury of depicting the humanity of the foe. 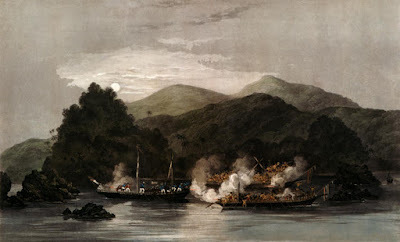 The nature of the ingredients which went into the making of Battle-Pieces—the Bible, Milton, Shakespeare, personal experiences and impressions, paintings, the illustrated weeklies, newspaper articles and official reports from The Rebellion Record—indicates Melville's distance from the actual events of the war. This was not entirely a disadvantage. Melville had long been uneasy about his dependence upon personal experience, sensing a danger in "immediate literary success, in very young writers" (to quote from Pierre), because of his memories of the days of Typee and Omoo. Nor could "mere reading" of The Rebellion Record or anything else serve as a substitute. His solution was not the recording of a "rich and peculiar experience" nor the skillful retelling of a tale once told. Instead, in the best of the Battle-Pieces, he distilled the essence of the experiences of war, pointing out their symbolic significance, universal application, and complexity. At a distance Melville could see the lineaments of the fundamental. Look there's T. S. Eliot! Sacred White Deer in and around Pittsfield, Mass. John Payne's sonnet "Herman Melville"